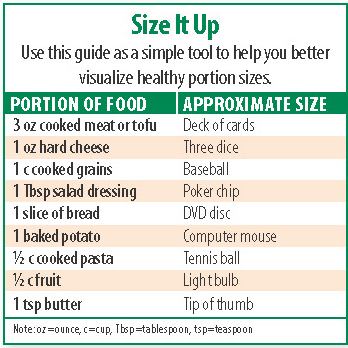 These science-based tips can help you gain control over portion size. From restaurants to packaged foods to home cooking, portion sizes have ballooned in past decades. Many health experts link the rise in obesity rates with our tendency towards portion distortion—a mismatch between our portion sizes and energy needs. Research by the University of Cambridge found that less availability of super-sized portions alone could reduce Americans’ caloric intake by 29 percent. “Instead of focusing on complicated diets and deprivation, simply eating less through better portion control is one of the best strategies people can take towards dropping pounds,” says Lisa R. Young, PhD, RD, adjunct nutrition professor at New York University and author of The Portion Teller Plan. The portions we eat are strongly influenced by our environment. 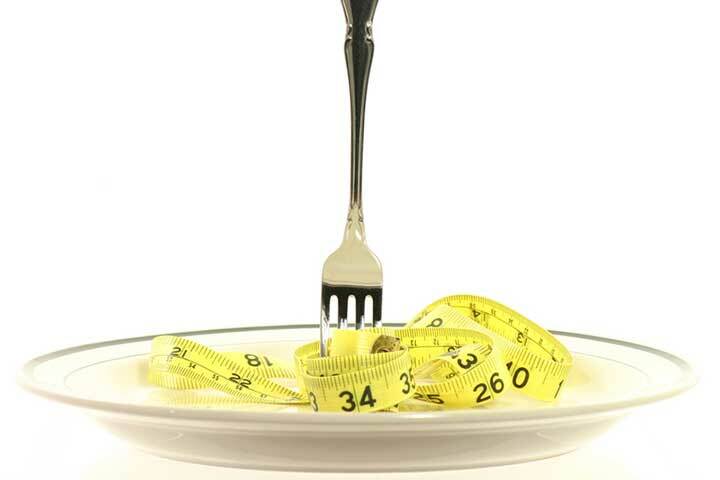 So, make these tweaks to your eating habits to reclaim portion control. Thumbing through your smartphone or watching your favorite TV show while noshing is not the innocent habit you think it is. A 2017 study in the Journal of the Academy of Nutrition and Dietetics found that adults who never watch TV or videos during meals were 37 percent less likely to be obese than their peers who always ate in front of a screen. “Anytime your eyes and brain are distracted when food is sitting in front of you, you’re more likely to munch mindlessly and eat more than you need,” says Young. The size of plates, bowls and glasses in American households has increased over the decades, which is a problem for waistlines, considering we eat 92 percent of the food we serve up. People served themselves 77 percent more pasta when provided larger bowls compared to using a medium-sized bowl, per a study in the Journal of Nutrition Education and Behavior. Outfit your kitchen with smaller plates (8- or 9-inch instead of the typical 10- to 12-inch size), bowls, and drinking vessels to make small portions seem more substantial. You can’t trim your portions until you come to grips with how much you’re actually eating. Using a digital food scale can help you get a better sense of what the recommended 3 ounces of chicken or 1 ounce of cheese looks like. Measuring cups and spoons for items like granola and olive oil can also help keep portions in line. To cut calories from your diet cut up your food. Studies show that slicing up items such as pizza and bagels into several smaller pieces decreases food consumption and calorie intake. We tend to think of one piece of food, like a steak or muffin, as an appropriate serving size regardless of its size. “Slicing foods into several units can trick your brain into thinking you’re eating more than you actually are so you’re more likely to be satisfied with less,” Young adds. Save the mood lighting for date night. Research from Cornell University found that subjects who dined in a dark room consumed 36 percent more food and were less accurate in estimating how much they consumed than those who ate in a bright room. A bright space can boost alertness to encourage mindful eating, while dimmer lighting may loosen eating inhibitions and mess with satiety cues. Eating at a snail’s pace could bring about better portion control. According to a Texas Christian University study, people who ate a meal in 22 minutes consumed 88 fewer calories and felt less hungry than those who cleaned their plates in nine minutes. “Pacing yourself allows time for your body to register satiety signals and prevents calories from adding up without realizing it,” says Young. Put utensils down between bites, chew food more thoroughly, engage in conversation, drink water with meals, and even try chopsticks to keep you at the table longer. Don’t give foods like avocado, quinoa, granola, and smoothies a “free pass.” Research shows that edibles portrayed as “healthy” can tempt you to let your guard down and overeat. It may be that people think of healthy foods as less filling or lower in calories, so decide more is needed to quell hunger. Tags brain, calories, cooking, diet, eating habits, food, health, mindful eating, mood, nutrition, obesity, portion control, portion sizes, quinoa, serving size, studies show. I often eat a handful of grapes or an apple instead of a piece of pastry or a breakfast bar. I feel more full and my crunch needs are satisfied with less calories. Drink loads of water instead of juices, soda, coffee or tea. Limited risk of added calorie or caffiene intake. Is Cereal a Healthy Choice?